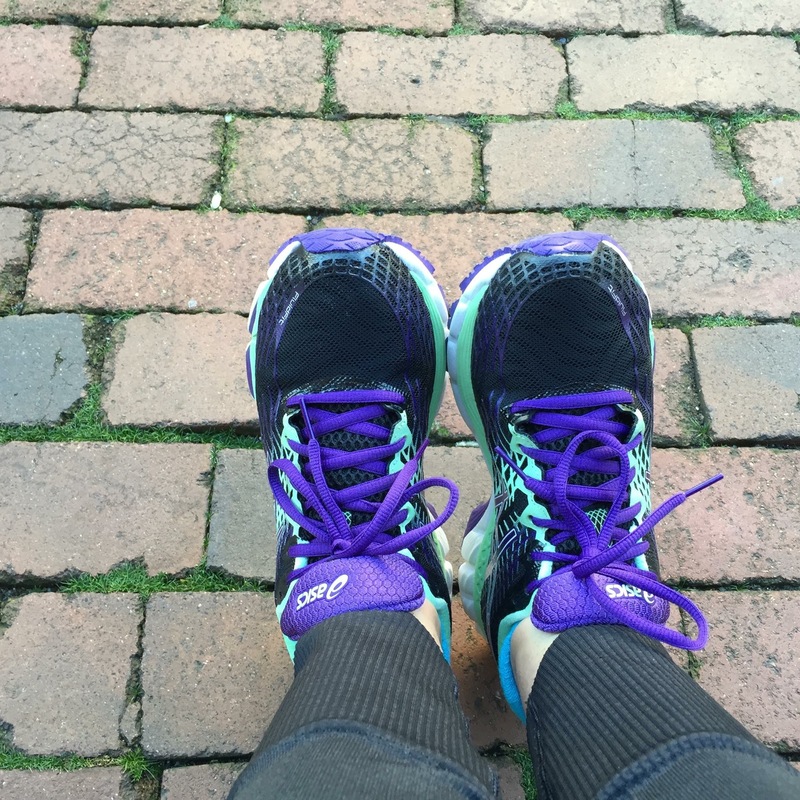 Last November 16th, I went trailblazing with the Alexandria Meetup Group. We embarked from Fort Ethan Allen Park. The hike was described as of moderate difficulty, with a few water crossings, and rock scrambles, and elevation changes. It promised a scenic overlook of the Potomac River. Only five and a half miles in just under two hours. It seemed there was just one dangerously steep hill to descend and then I would be in the clear and back on solid ground. A transgendered park ranger held my hand all the way down. I would love to thank her but I forgot to get her name. And I thought the worst was over. God in three persons answered my prayer, namely three handsome (and sadly married!) guys: Gordon, Joe, and Luke. One in front and two behind, they took turns literally holding my hand and guiding me each and every step of the way – “Put your foot here, grab a hold there”. If I looked down, I was a goner. Instead I looked to them. I listened to them. 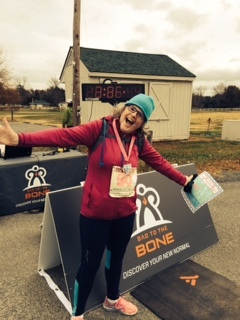 Just one week later on November 23rd I finished the Real Girls RUN Half Marathon in the foothills of the Blue Ridge Mountains. The race started in Crozet, a picturesque village in the horse country outside of Charlottesville. The field of 100 plus runners quickly outpaced me. I was blissfully left alone with my thoughts to walk the course: 13.1 miles of serious hills but no cliffs and no boulders! I recovered from the five-mile hike. I recovered from the 13-mile walk. But more importantly, in the process, I recovered myself. Not an overnight process for sure. But with every little step I took, I got a little bit of myself back – body, mind, spirit, and soul. 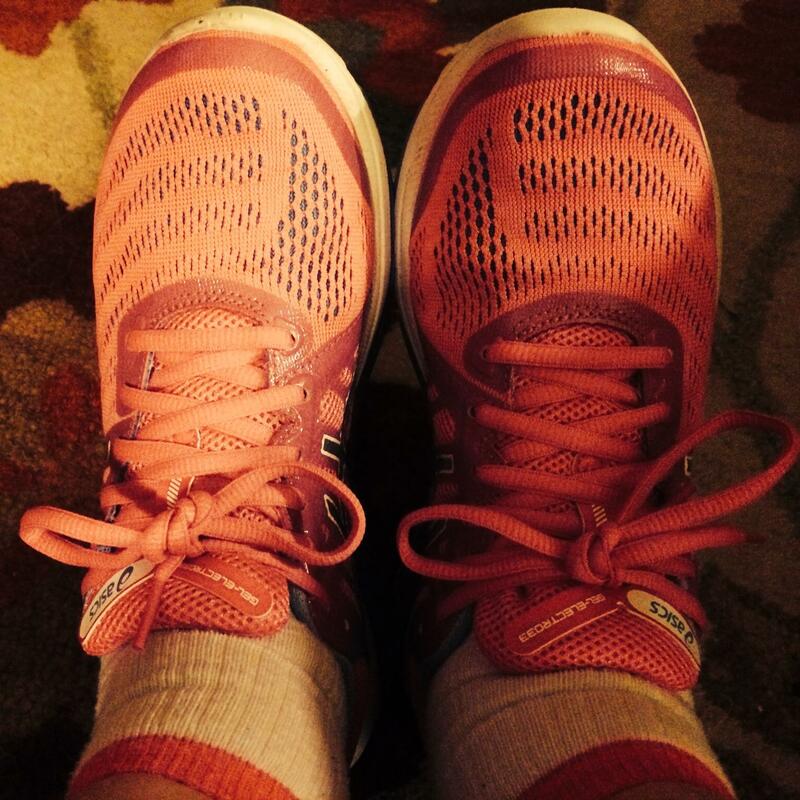 And looking back, I took thousands of steps long before I ever stepped out in my hot pink size 7 ASICS. Steps that did not seem to matter. Steps that were daunting. Steps that were awkward. Steps that were clumsy. Steps that were steep. Steps that were halting. Steps that were scary. Steps forward. Steps backward. So far I have been in the program for a dozen years. I will be in it the rest of my life. It’s about lifelong recovery. Not recovery from bipolar disorder. I will never be rid of bipolar disorder nor do I ever want to be. The program I am in is about the lifelong recovery and embrace of my bipolar self. A dozen years of coming in last — to finally count myself as first. And what is true for me is surely true for us all. There is no magic pill. There is no miracle program. There is no bipolar magic wand. But — bipolar or whatever – you can recover yourself one step at time. Walking this way may seem endless and discouragement a given. Yet every step along this way may take you places you need to go – a hospital, a doctor’s office, a friend’s couch. And on this road the slower you go, the more miraculous people you are likely to meet : Neighbors become friends, coworkers become companions, and strangers – wilderness guides along your way. Like the park ranger, like Gordon, Joe, and Luke, like the woman who walked with me that last half mile. God in all these persons witness to the truth – that the last shall be first. Categories: Spirituality and Mental Health | Tags: Alexandria Trailblazers, Asics, bipolar disorder, Bishop Payne Library, mental health, Real Girls Run Half Marathon, Recovery, spirituality, Step Programs, Talk Therapy | Permalink.